Local Company Custom Images Hardscape Talks Concrete Countertops for Outdoor Kitchens. 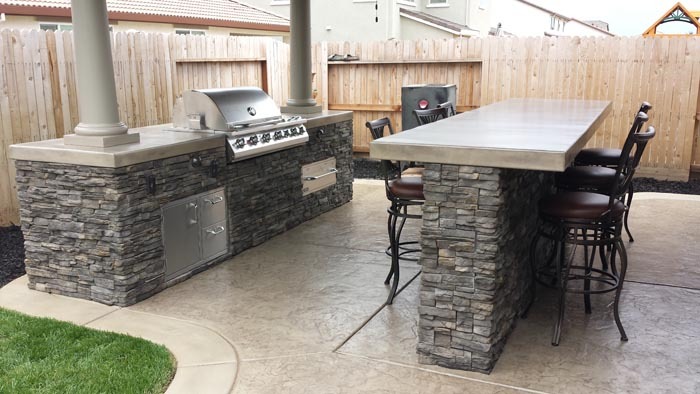 If you are looking for the perfect solution for your summer BBQ needs in Sacramento, CA, you have come to the right place at Custom Image Hardscapes! 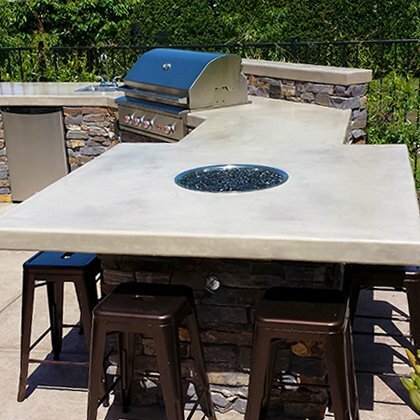 Our concrete countertop outdoor kitchens are the ideal way to entertain your friends and family in style. 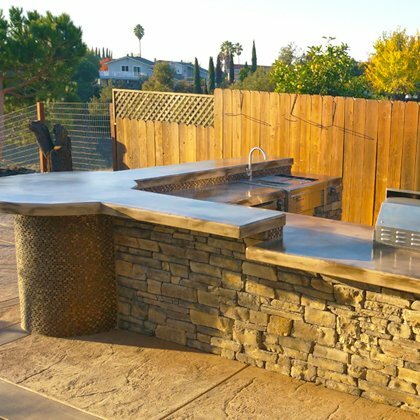 An outdoor kitchen or outdoor BBQ island will quickly make you the envy of all your neighbors. And as an extra bonus, they will increase the value of your home so they make a great investment as well! 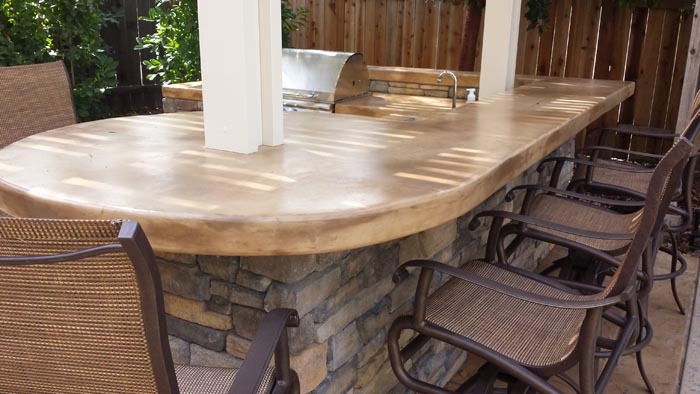 Custom Image Hardscapes services the greater Roseville, Rocklin, Lincoln, Folsom and Sacramento area with BBQ Island Kitchens, Concrete Countertop Outdoor Kitchens, Pizza Oven Outdoor Kitchens and much more. 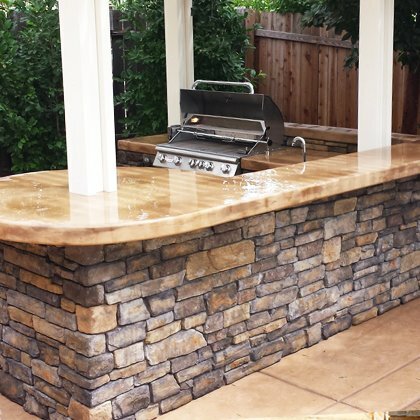 Here at Custom Image Hardscapes, we have many options that you can select from for your custom outdoor kitchen or BBQ island. You can get a basic countertop that just gives you more room for food prep and a space for your guests to gather to eat. You can get an outdoor kitchen that has all the conveniences and luxuries of the fanciest indoor kitchen. You can get anything in between. 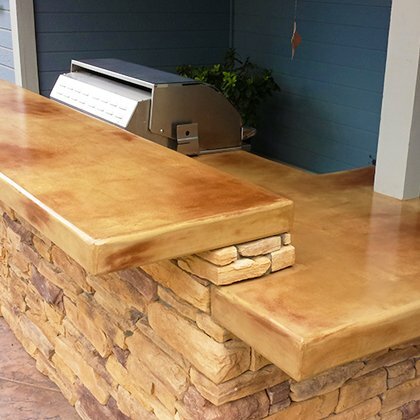 At Custom Image Hardscapes, you can personalize your custom outdoor kitchen or BBQ island to meet your precise needs and budget. Even an outdoor entertainment center! 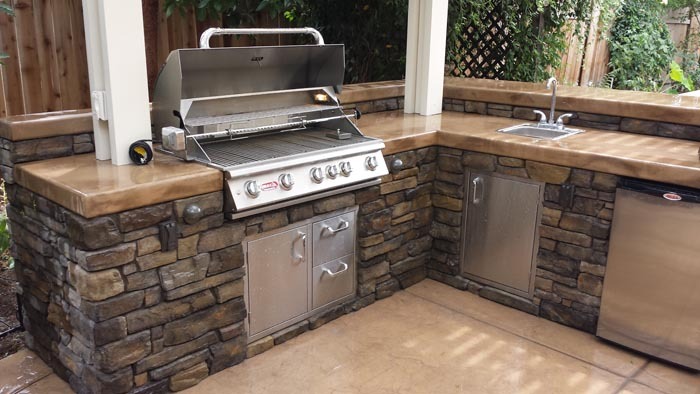 Here at Custom Image Hardscapes, we have the perfect outdoor kitchen to match any budget. 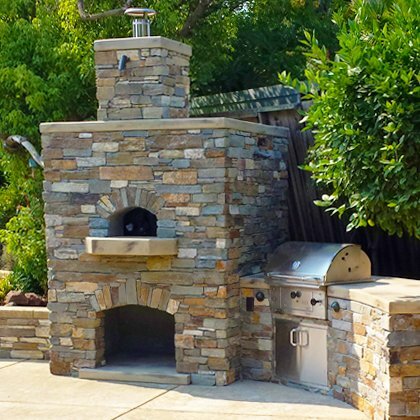 We want to give you the best outdoor kitchen for your Sacramento home. Whether you want a big, fancy outdoor kitchen or a very simple food prep space, you can find it at Custom Image Hardscapes. If you have a limited budget, that is okay. We will work with you to determine what the best option is for your space and your bank account. We are committed to offering our customers the best options possible, so you can be sure that you will be able to get the outdoor kitchen of your dreams at Custom Image Hardscapes. 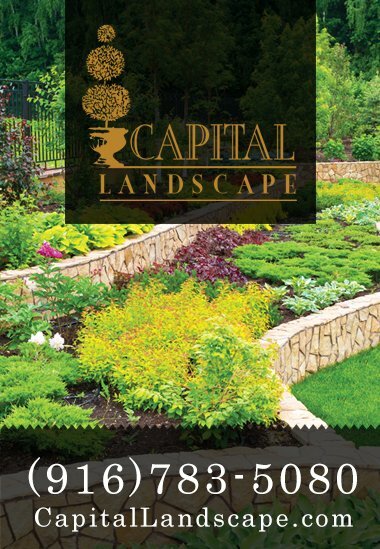 Give us a call today for a free estimate and find out just how we can help you get the perfect backyard for all your summer festivities!